Unfortunately, there is only one generic alternative available on the market. Today’s market offers only one generic asthma inhaler known as Xopenex HFA Generic. This is a rescue inhaler which is used only during an asthma attack. Generic Xopenex provides the same level of effectiveness as its non-generic version, but is available at a lower cost. The active ingredient of this inhaler is a generic form of levoalbuterol, the same as in non-generic Xopenex. Levoalbuterol is a good substitute of albuterol for those who are sensitive to the latter and experience an increased heart rate or shakiness after the intake. In case you prefer using a non-generic inhaler, your prescription should be given specifically for the non-generic one. This is to ensure your insurance covers the cost, as some of them may default to the generic formula. Which Non-Generic Inhalers Are Available? 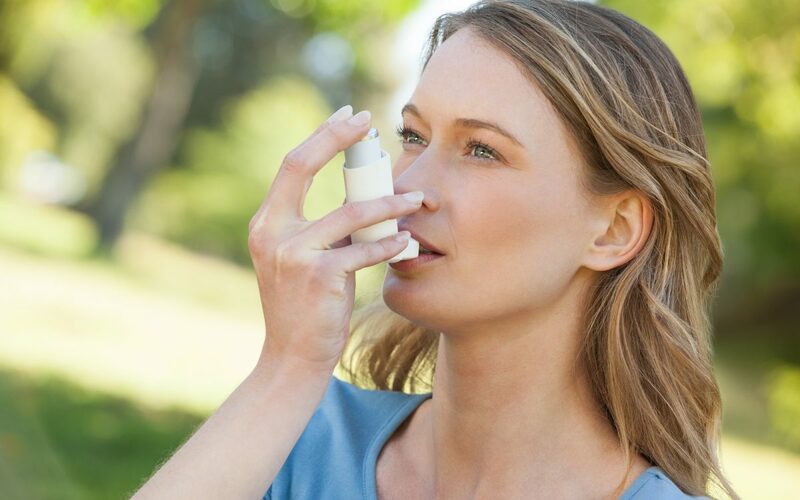 There are two categories of asthma inhalers: rescue inhalers that are used during an asthma attack and controller inhalers used on a daily basis to manage asthma symptoms. As mentioned earlier, Xopenex HFA Generic, containing levoalbuterol, is the only generic rescue inhaler available today. Most generic albuterol inhalers have been withdrawn from the market, since the switch from CFC-based propellant inhalers to HFA-propelled ones. Nowadays, albuterol can only be found in various brand name inhalers, such as Proventil, ProAir, and Ventolin. When it comes to controller inhalers, these are only available in brand name form. The market can offer such brand name inhaled steroids as Flovent, Asmanex, QVAR, Alvesco, and Pulmicort. Besides, there are inhalers combining inhaled steroids and long-acting bronchodilators, which are available in brand name versions including Advair, Symbicort and Dulera. Pulmicort Respules, an inhaled steroid that is used as a controller therapy for asthma treatment, can be found in the generic form. Its active ingredient budesonide is available as a generic nebulizer solution. In fact, brand name asthma inhalers might be quite expensive. However, there are several ways to get your prescription at a more affordable cost. First, you can ask your doctor if they can offer you any samples or discount coupons. Another option is to consult your insurance company and see what the prices of other medications are. In case your insurance can cover the cost of a certain medication, ask your doctor if your prescription can be changed to that. Finally, you can visit the manufacturer’s website and check if they offer any savings plans or discounts for patients who cannot afford the medication.